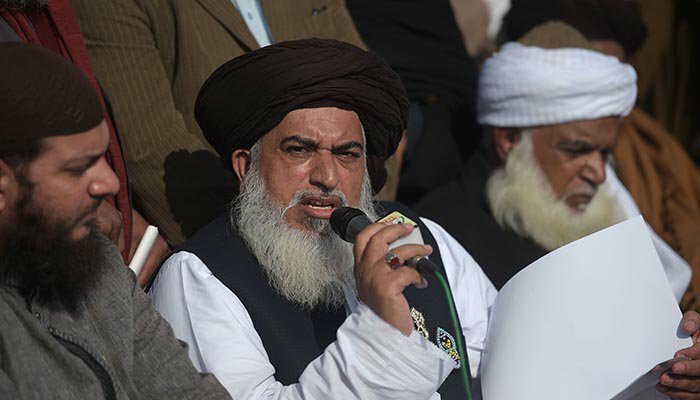 ISLAMABAD:(APS) An Anti-Terrorism Court in Islamabad today ordered arrest of Tehreek-i-Labbaik Pakistan’s Khadim Hussain Rizvi, Pir Afzal Qadri and other absconding suspects in a case pertaining to the Faizabad sit-in held last year. The police were separately ordered to submit their final challan in the next hearing of the case to be held on fourth of the next month. The Faizabad sit-in, organised by politico-religious parties in November 2017, had disrupted life in the twin cities for at least 20 days.